To make things easier for those planning to switch over from iPhone to the Moto X, Motorola has added a web tool to speed up the transfer of iPhone contacts and calendar. This web tool is easily available from the MotoMaker customization website which easily sync your icloud contacts and calendar to your Google account. Sad to say those who’ve already purchased the Moto X will not be able to benefit from this web tool and probably have to look for other ways instead. 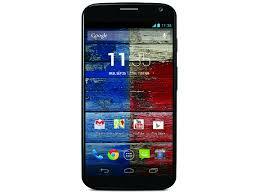 Similarly, those who purchase the Moto X without using the MotoMaker are also excluded from utilizing the web tool. Whatever it is, we hope we’ll be able to see more of these web tools from other mobile manufacturers as well!